CTS Group are a multi-disciplinary Building services company with offices in Waterford and Dublin. We have extensive expertise in our key areas of commercial, industrial and retail and healthcare. We have also expanded in to the Healthcare, conservation and renewable fields with particular success. 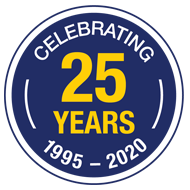 We were established in 1995 and are very proud of our history and heritage in delivering a nationwide service of delivering innovative projects safely, on time and within Budget. Our people are our most prized asset and we empower them every day to collaborate with our partners to deliver innovative solutions. CTS Group recognizes that our business is dependent on good people who are passionate, engaged and committed. We make sure that all our colleagues receive training and each employee has a clear understanding of the company ethos and vision and values that the company stands for. We have successfully expended our client base through positive recommendations from satisfied clients both professional and end users and the repeat business that we receive is the envy of the sectors that we operate in. This means that our standards are always maintained, reviewed and implemented, ensuring existing clients and end users continue to employ CTS Group and new customers benefit from our experience, technical expertise, innovation, value for money and the ability to successfully deliver projects. If you want to work with CTS Group insuring that your project is delivered in an ethical, innovative and quality way, please contact us on hello@ctsgroup.ie. CTS Group’s vision is to become the most respected sustainable building services business in Ireland. CTS Group through collaboration with ethical partners, customers and suppliers and employees will deliver innovative building services projects safely, in time and within budget from our offices in Waterford and Dublin. This will be achieved by selecting the right partners and suppliers that have proven track records and empowering our employees with the right knowledge and training to deliver cutting edge and innovation every day. Our goal is to be perceived as a knowledgeable leader that cares for our clients and society.